One of the youngest riders in the Continental-level peloton, Joe Laverick heads into his first year as a senior riding for the UK’s biggest domestic team, Madison Genesis. The 18-year-old came to our attention last season when he won the time trial stage in the Ronde des Vallées Juniors stage race, and then followed that up with an impressive 8th place in the junior world time trial championships in Innsbruck. 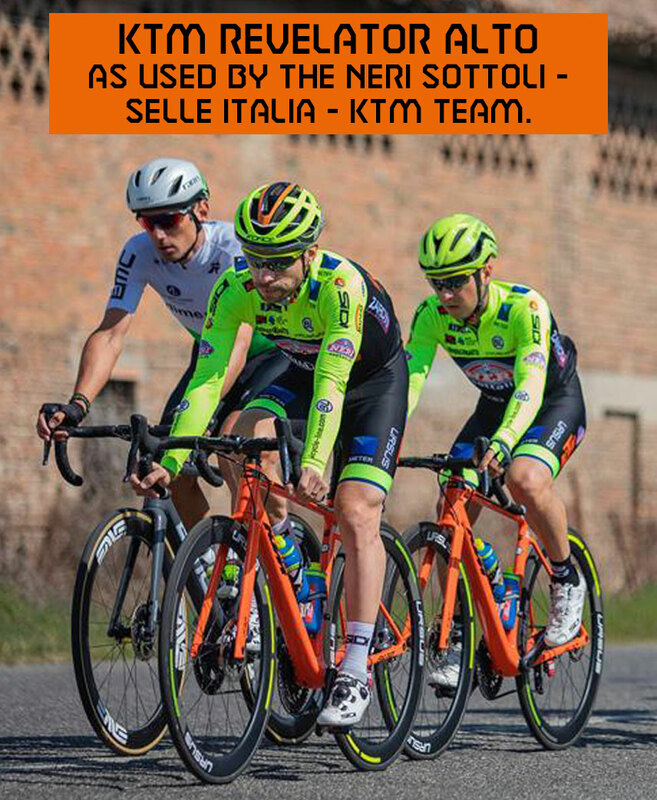 He is one of our U23 riders to watch this season. Joe mainly rode for Belgian team Soenens-Booom last season last year and also guested for the HMT Hospitals Junior Academy, enabling him to rack up a lot of international racing experience in junior stage races and UCI events. He’s clearly a very strong time-triallist, with successes in numerous national junior time trial events, as well as his Worlds result. But he is keen to stress that he’s much more than just a tester. I don’t really know to be perfectly honest. My abiding memory is sitting on my bed in what would be early 2014 and looking online at different types of road bikes. I then went down to the local bike shop with £450 that I’d saved up. With a little help from my parents, I bought my first road bike, a Raleigh Revenio C1 with 8-speed Claris. We then did a bit of research and a local Go-Ride club was just starting up and I went down to a couple of sessions. I’d played football since I was 6 so at the time it was a second priority but it’s just developed and evolved since there. You’ve had some notable time trial results in your career so far. Do you see yourself primarily as a time triallist? I think it’d be wrong to label myself as an out and out time-trialist as a first-year U23. It’s no secret that last year it’s the TTs where I got my best results but I don’t want to fall into the trap of just getting seen as a tester. For sure TTing is my main strength but sitting around 66/67kg it’s not impossible to look at myself as a potential GC guy for the future. But as I said I don’t want to put myself into a specific category this early, who knows what’ll happen to me physically, I’m still growing after all. You got some notable results in your final season as a junior, including the stage win at the Ronde des Vallées and then 8th in the worlds TT. How would you feel the season went? Last year went okay, it wasn’t great though. I messed up the early part of the season and in my first two races I had a big DNF next to my name. I started to get up there with a stage win at Ster van Zuid Limburg in April but nothing too special. It was at the Tour of Poland that, after a bad day, we got called in for individual meetings. It was the metaphorical kick up the bum that I needed. You mention the Ronde des Vallees and that win was great, especially as it was a UCI race, but I’d have liked a bit more stage race success. The Worlds was the cherry on top. I didn’t know where I’d be and a top 10 isn’t a bad result for my first Worlds. I definitely want to go back in future and improve on that though. Joe Laverick after finishing 8th at the world championships junior time trial. You say you got a metaphorical kick up the bum in Poland – what were you told, and how did that a make difference to how you performed afterwards? We were told off for missing the break and I was told things such as ‘you’ve got to take your opportunities, they don’t come around very often’. It sounds like cliché but there was also a bit of a telling off which I won’t repeat! It just made me consider my racing a bit more, be a more attacking racer and going after opportunities rather than waiting for them to fall at my feet. How did your move to Madison Genesis come about? That’s a big team for a first year under-23. Where there other options on the table? My move to Madison came about at the Tour of Britain. I’d had a bit of communication with Colin [Sturgess, team manager at Madison Genesis last season] before and then agreed to meet him at the stage starting in West Bridgford. It was there he sat me and my mum down and offered me a place on the team. I’d spoken to a couple of other Conti teams but as you said Madison rarely take riders straight from juniors so I wasn’t going to turn an opportunity like this down. It is a massive step up, just look at the team; most of these guys have probably won more races than I’ve competed in, but it’s a place where I can learn and that’s what you need as a under-23. I’m currently doing my A-Levels at Caistor Grammar Sixth Form. History, English Literature and PE to be precise. It’s not ideal juggling them but it’s definitely doable. I finish my exams on June 5th so after that I’ll be full time bike racing. I’m lucky that school are very understanding and although it’s a school sixth form where we have to be in full time, I get extra time off on Wednesdays and Thursdays to train where I’d normally have free periods. Time management plays a big part and I’m lucky to work with James Millard and Alex Dowsett at Cyclism who coach me and understand that I need to get my studies done. At the end of the day, it’s only a few more months. A load of guys are full time as juniors these days and it’s not really something I believe in. Once my exams are over I’ll be full time, so hopefully with that there’s a load more potential. Do you have any mentors, anybody you listen to for advice about your cycling career? If so, who are they, and how do they help? My first mentor in cycling was a guy called Dave Evans. He started up the Go-Ride club which got me into the sport. He’s someone who’s honest with me and I’ll always value his opinion. My biggest mentor is probably James [Millard]. He’s an awful lot more than just a coach. We talk daily and it helps to have someone like that, it’s not just cycling, it’s life in general. Alex [Dowsett] is obviously another. He’s moved through the ranks and is established in the World Tour, plus he’s won a stage of a grand tour so he’s obviously somebody I look up to. Having guidance from someone like that at my age is invaluable. As he’s a TT specialist it benefits me hugely as well, he’s got a ridiculous amount of knowledge. For example, at the Worlds we were in the hotel and we looked at the road book to make a pacing strategy; it’s things like that which are a massive benefit. How did you come to work with James Millard and Alex Dowsett as coaches? What role does Alex play in your coaching? It was after the GHS Schoolboy TT Champs in 2016. I was a bit of a surprise winner and I tweeted back to something Alex had put about the event as he’d also won it [see image above]. He DM’d me to give his congratulations and mentioned Cyclism, saying if I ever need any help just let him know and it kind of went from there. I was introduced to James through Alex and and I’ve been working with the two of them since early 2017. James does my day to day coaching and Alex has the odd bit input. With Alex it’s the knowledge he’s built up throughout the years that he feeds me, from simple things like pacing strategies to the more ‘in detail’ aspects, such as guiding me on a path to move up the ranks. The two of them have bags of experience and use it to stop me making the mistakes that guys my age usually do. Do you know what your race programme is looking like this season? I’m not positive on my calendar yet, there’s the obvious focus on under-23 TT Nationals at the end of June. But apart from that, I’m not sure. I spoke to Roger [Hammond] at training camp and he’s been in my situation when he was younger so wants me to get my exams done and then we’ll see. Looking at our team I’m the youngest and least experienced rider on it. Someone actually tweeted me and I think they said I was one of the 5 youngest Conti riders in the world. Although I go on about my age I don’t want it to be a key factor. I’m just ready to do any race that the team puts me in and learn as much as possible to develop and then hopefully step up over the next few years! Are you in touch with the national team at all? What are the chances do you think, of riding some U23 races this season with them? I haven’t had any contact with the national team since Austria. It’s a path I 100% want to go down and it’s no secret that I want to do the big races such as the Tour de L’Avenir and go to Worlds. Whether it happens this year is something that only time will tell, I’m hoping a performance at nationals will put me on the map with British Cycling.